A man was seriously injured after falling 55-60 feet from a tree. The Hudson, New Hampshire, Fire Department responded to 7 Hickory Street after being called for fall related injuries. The fire department found a male patient, who was cutting trees, had fallen and landed on the ground. The Paramedics determined the man's condition warranted Med-flight transportation to a trauma hospital. 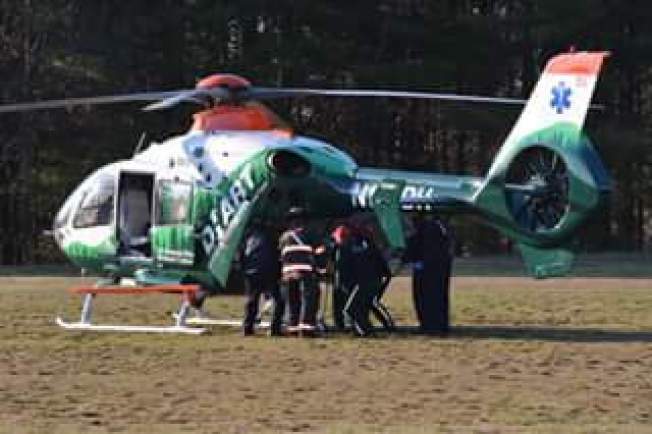 The man was flown to Beth Israel Deaconess Medical Center in Boston. OSHA will be investigating the incident.